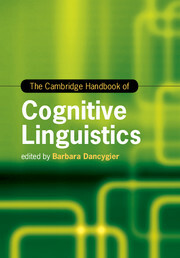 The best survey of cognitive linguistics available, this Handbook provides a thorough explanation of its rich methodology, key results, and interdisciplinary context. With in-depth coverage of the research questions, basic concepts, and various theoretical approaches, the Handbook addresses newly emerging subfields and shows their contribution to the discipline. The Handbook introduces fields of study that have become central to cognitive linguistics, such as conceptual mappings and construction grammar. It explains all the main areas of linguistic analysis traditionally expected in a full linguistics framework, and includes fields of study such as language acquisition, sociolinguistics, diachronic studies, and corpus linguistics. Setting linguistic facts within the context of many other disciplines, the Handbook will be welcomed by researchers and students in a broad range of disciplines, including linguistics, cognitive science, neuroscience, gesture studies, computational linguistics, and multimodal studies. 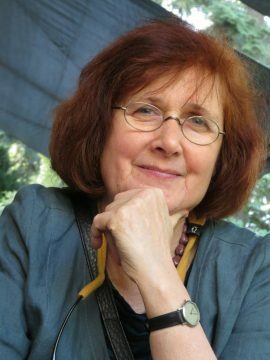 Barbara Dancygier is a cognitive linguist, interested in the applications of conceptual metaphor theory, blending, and construction grammar to a variety of meaning-related phenomena in grammar and discourse. Much of her work is focused on cognitive poetics, especially fictional narratives and drama. 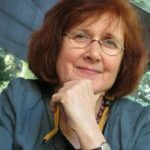 She also works on the applications of cognitive theories of meaning to various discourse types, including multimodal artifacts in digital and creative contexts.